National Family Week (NFW) is an annual initiative that celebrates family life in the UK and encourages families to spend more time together. The Week aims to highlight the important role families play in society and encourage healthy active lifestyles and quality family time. In just two years National Family Week has become the largest celebration of family life and is backed by all major political parties and over 180 national and thousands of local not-for-profit organisations including charities, local authorities, community groups, faith groups and sporting associations. 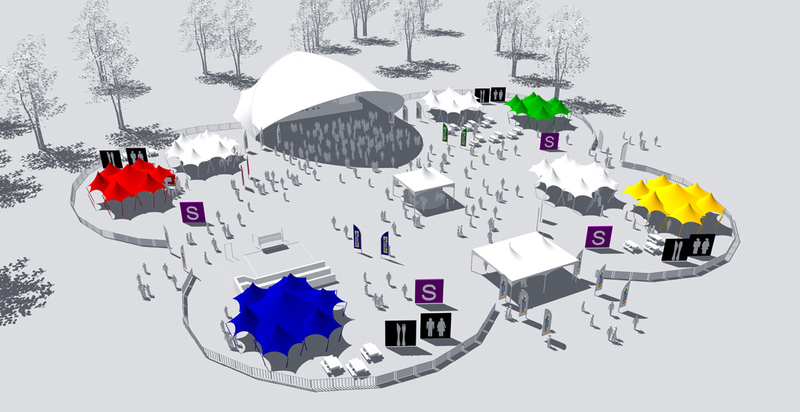 The roadshow is a new concept for 2011 that will run alongside all the thousands of events and activities organised by our partners. The roadshow will aim to visit a number of locations across the UK during NFW, which takes place from the 30 May –5 June and will be held in large green spaces and parks. 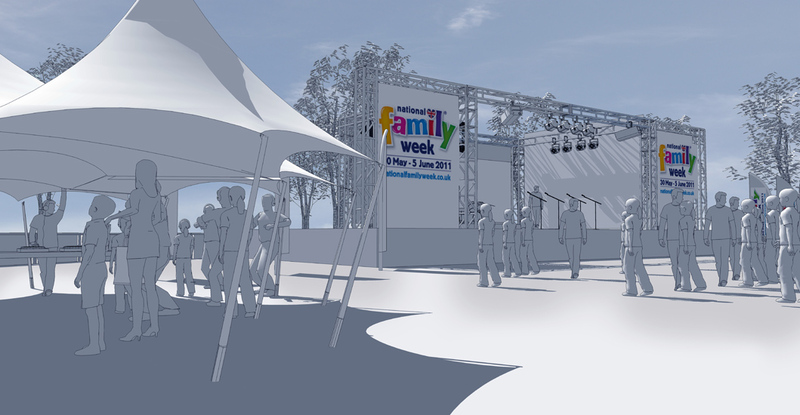 The idea is to create a sophisticated fair/fete with different ‘zones’ that are filled with activities based around National Family Week’s key themes. There will also be a main stage from which there will be special appearances and performances from a range of dance acts and popular children’s characters throughout the day.